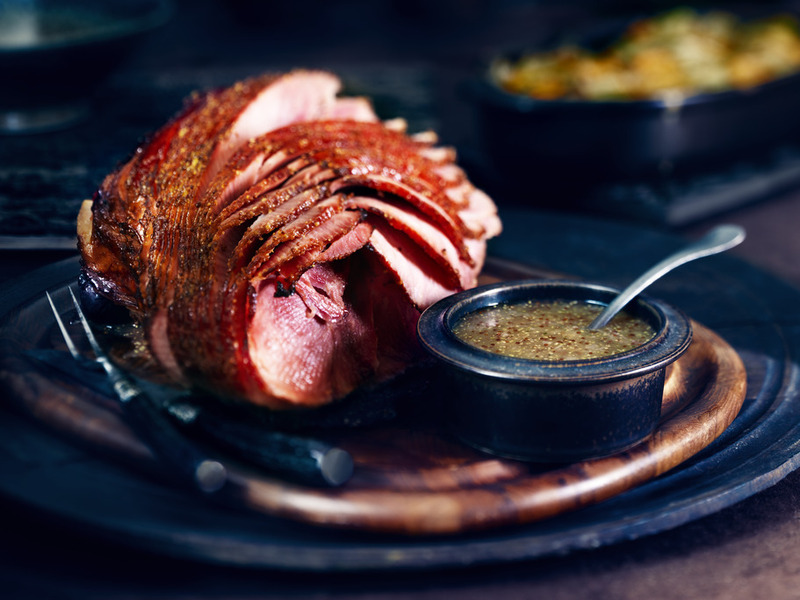 This recipes combines complementary flavours of maple, Dijon mustard, and fresh thyme to make a perfect maple glazed ham. Roast ham according to package directions. Half an hour before end of expected bake time, uncover, brush liberally with basting mixture and bake 30 minutes more, or until meat thermometer reads 165°F (74°C). Reserve 2 tbsp (30 mL) pan drippings. Mix cornstarch, chicken stock, thyme, black pepper, remaining maple syrup and remaining mustard until smooth. Set aside. Heat butter in small saucepan over medium heat. Add shallots and cook until tender. Stir in cornstarch mixture and add reserved pan drippings. Heat until mixture boils and thickens, stirring often. Serve sauce with ham. Maple and ham are classic go-together flavours! Maple flavour comes through as stronger and more robust when medium or amber coloured maple syrup is used. If using broth (instead of stock)  use 600ml, add a tsp of corn starch and cook a little longer to thicken. 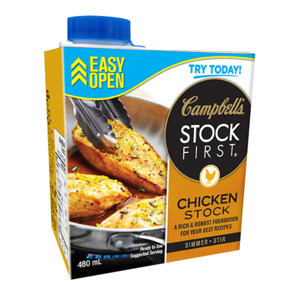 Given stock is more concentrated flavour  you may want to season to your preference. Want just a little more sweetness? Incorporate apple and brown sugar into this recipe.